It's a well-worn concept, but no less true for that: there's something very special about Spa-Francorchamps. This is for a variety of reasons. Its high average speed and fearsome sweeps are almost unparalleled on the modern F1 itinerary, as well as increasingly rare in the age of the Tilkedrome. Had the track never existed and someone now was to suggest building it as an F1 venue the concept would likely be laughed out of town. It's all set in a beautiful, undulating and wooded Ardennes landscape. Each year meetings there provide further evidence to back the thesis that if you give F1 drivers a proper track they'll give you a proper race. And furthermore the circuit is situated in a notorious mini-clime, meaning rain can (and usually does) arrive with little notice and thus turn things onto their head. I'm sure there have been dull races at Spa, but it's genuinely hard to imagine one. And, not unimportantly, Spa retains a direct link to motor sports' deepest heritage. The history of circuit racing in the region is as old as circuit racing itself, with the first race at the Circuit des Ardennes taking place in 1902, on a circuit that was a snip at 86km in length, before being extended to 118km for the 1904 race (yes you read those right)! 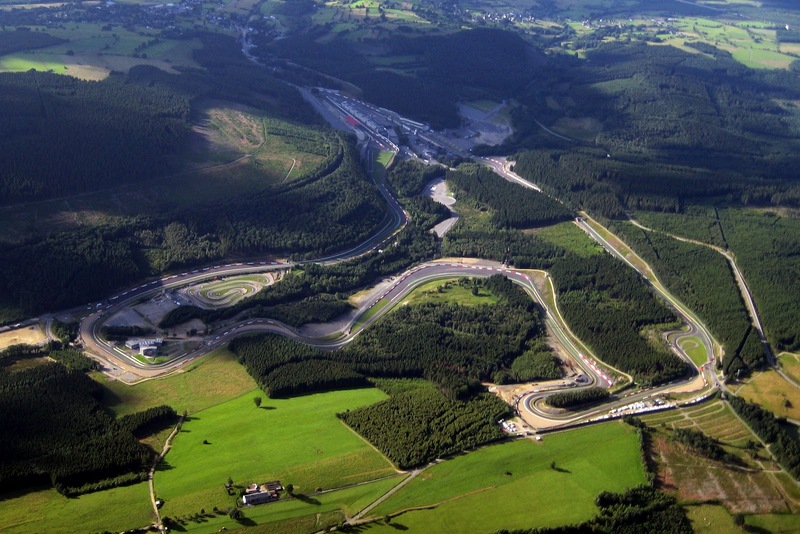 And the original Spa circuit, a fearsome and iconic 15km track that makes even the current layout look positively sedate, was first used in 1921, and the one used in F1 as late as 1970 wasn't much different from it. It's not for nothing that many F1 drivers consider a win at Spa a badge of honour, perhaps worth two or three wins at some other venues. And as if to compound it all, this weekend's gathering at Spa marks the end of the sport's extended five-week summer break. Absence does indeed make the heart grow fonder. Even over and above the fact that it's Spa, there are many reasons to think that F1 will return with a bang this weekend. The competitive order was unpredictable enough before the break, and no team will have been idle since (even with an enforced factory shutdown for some of the meantime), particularly given that the Spa meeting starts a helter-skelter run of nine races in 13 weeks to the season's conclusion. 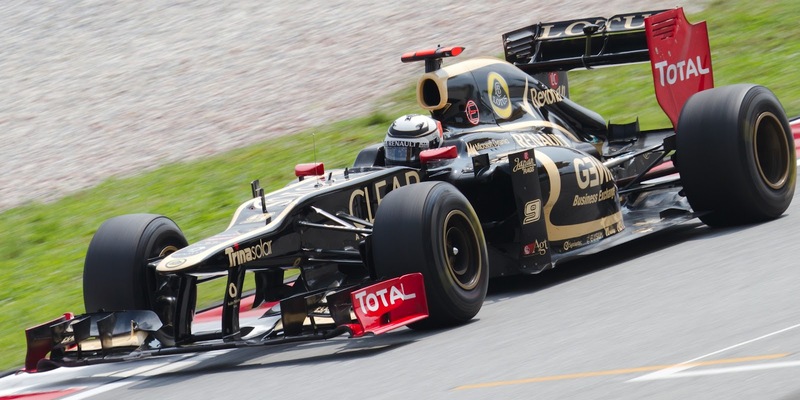 Therefore, the cars at Spa will likely be very different to those on show in Hungary. The McLaren should be a car to watch however: it's aerodynamically excellent and been strong through quick corners all year, and there is plenty of those at Spa. And McLaren's technical upgrade brought to Hockenheim got the car right back to the sharp end after a mini-slump. Then there is the Red Bull, which has been strong in recent times, and lest we forget dominated the round here last year, coming back from the summer break having made a clear stride on its rivals. Given the team's excellent record of in-season development you wouldn't bet much against similar happening again. But many eyes this weekend will be on the Lotuses. This is not only because the car is strong on just about all types of circuit, it's also because its much-touted double-DRS system presumably will be raced for the first time. 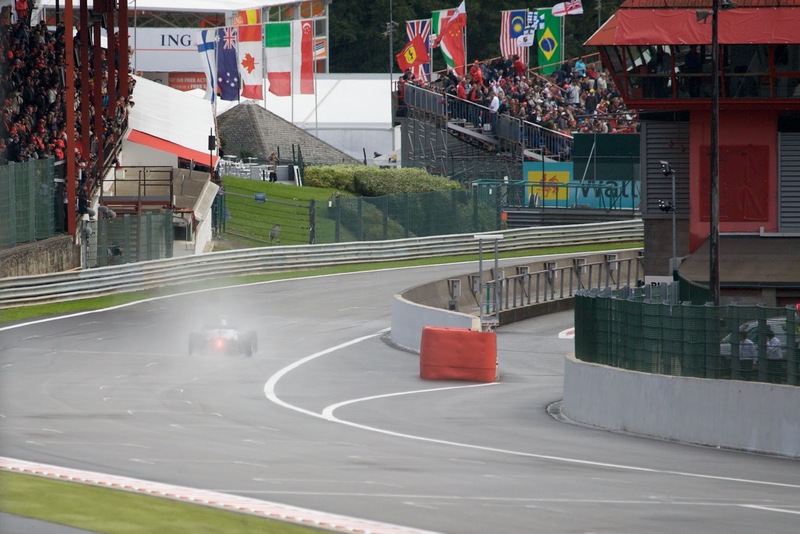 The system is a little shrouded in mystery still but it will likely not only help down Spa's long straights it'll also help especially in qualifying where the Lotuses have tended to struggle relatively. 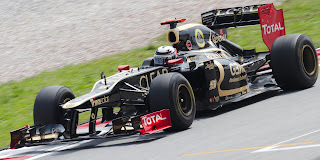 More broadly, some have talked about a half second per lap advantage from the device. 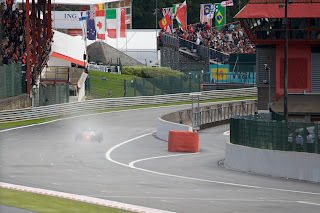 Then add the fact that Kimi Raikkonen has won on four of his last five visits to Spa (and only missed out the other time because of a late-race rain shower), and you'll see why a Ferrari team member said after Hungary that 'it's very difficult to see anyone other than Kimi Raikkonen winning at Spa'. One problem for Lotus is that Pirelli has chosen a conservative tyre selection for this weekend, medium and hard (making the reasonable assumption that Spa doesn't need gumball tyres to spice up the show), which may negate Lotus's usual advantage on getting tyre life for longer than its rivals do (it also will likely impede Sauber which is a Lotus in extremis). On the flip side, the tyre choice may help the Mercedes which has tended to chew its rear rubber this season. Plus, if you like omens, Michael Schumacher will be taking part in his 300th Grand Prix this weekend. But of course all of this could be irrelevant, as at Spa the unstable weather can trump all other variables. Some rain is forecast for the weekend (though such is the mini-clime at Spa that even localised forecasts are pretty useless), and if any arrives in the qualifying hour or the race it has the ability to ruin many weekends. This particularly applies to the McLarens, which even after recent improvements were seconds a lap off the pace in the wet Hockenheim qualifying session. It's tended to be the Ferrari, particularly that under Fernando Alonso's command, that's been on top in such conditions. If nothing else, the F2012's adaptability between various types of weather and temperatures will stand Alonso in good stead this weekend. And the team won't have been standing still over the break; under the guidance of Pat Fry it appears to be fixing a lot of its simulation and wind tunnel problems which had held back its car development. Many post-Hungary have been writing Ferrari off for Spa. I wonder if they're being premature. It is indeed good to be back.